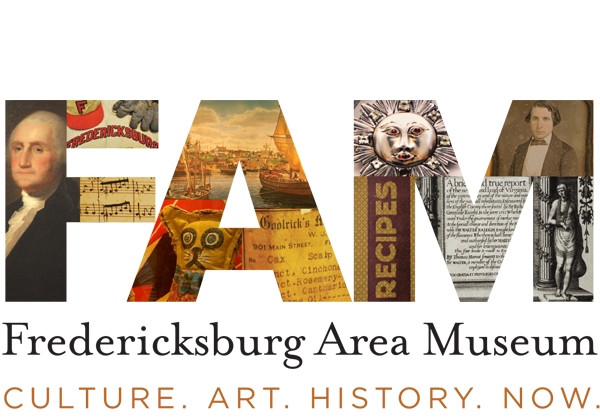 Fredericksburg Area Museum | Food Fight Fredericksburg! 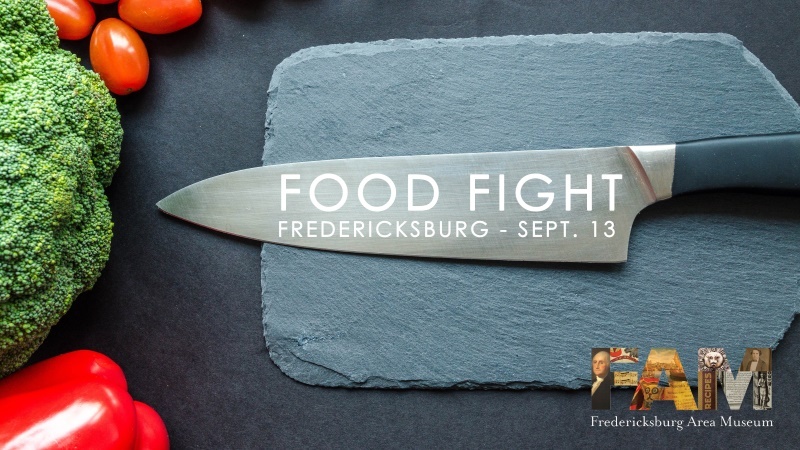 You are invited to join the Fredericksburg Area Museum (FAM) on October 11, 2018 for a one-of-a-kind fundraiser, Food Fight Fredericksburg! Back by popular demand, this unique culinary competition combines the history and culture of the Fredericksburg area with the best restaurants in downtown Fredericksburg. The night kicks off at 6:00 PM in Market Square before guests are escorted to four (4) of the best downtown restaurants, which each feature a signature drink and small plate. In addition, each location will feature an exhibition showcasing objects from the FAM’s collection that connect the restaurant’s geographical region of choice to Fredericksburg. From France to Latin America, guests will experience Fredericksburg’s nation-shaping history through this unique culinary competition. The evening concludes with an After Party in historic Market Square where attendees can vote for their favorite experience and enjoy a dessert bar! Don’t miss your chance to be part of this culinary competition like no other. Tickets are very limited! Tickets can also be purchased at FAM (907 Princess Anne Street). Tickets are $100/members and $125/non-members and include a beverage and plate at each restaurant, dessert and open bar in Market Square at the After Party. The participating restaurants will be announced on Facebook so be sure to “Like” us! For more information on this event, or for additional information, please contact Melanie Johnson.